What is the most expensive bath ever sold in the world. 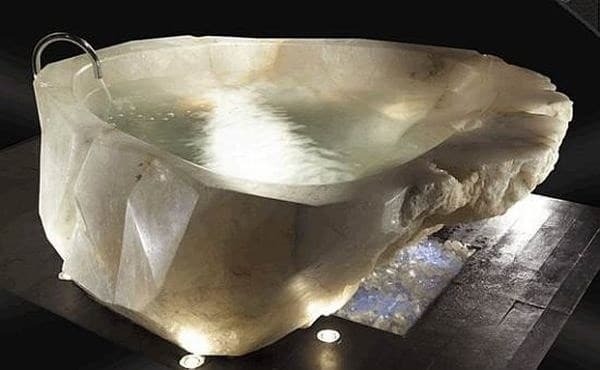 The worlds most expensive bath which was sold at Harrods for £530,000. It was cut from a 10 ton Amazonian crystal stone. The bath was designed by Baldi an Italian interiors company and designed to accommodate 3 people comfortably. The bath is sculpted with diamond cuts and left partially rough to expose the natural beauty of the crystal.